There’s a reason “___ of the Month” clubs are so popular. 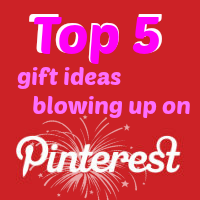 People love opening surprise gifts on a regular basis! Most gifts you can open only once. But not Open When… Envelopes. Gift recipients will receive multiple envelopes containing gifts they’ll be able to open over a period of months! 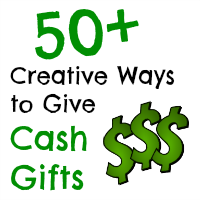 For this gift idea, you simply need envelopes, cash and/or gift cards, and a printer. 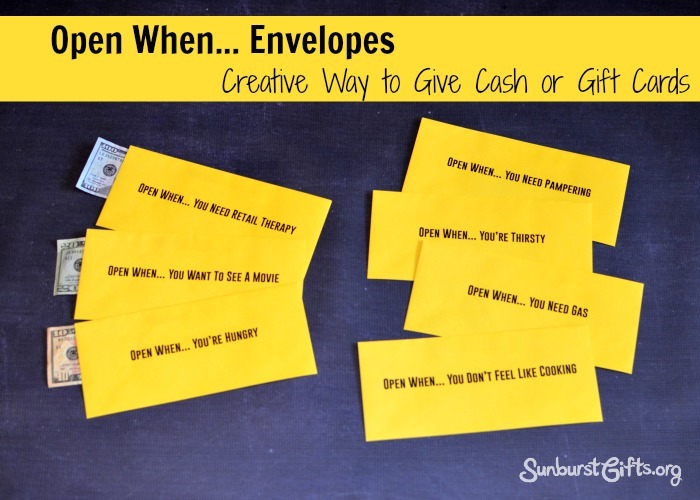 On each envelope, print a different “Open When…” scenario on the front. Here are some examples. 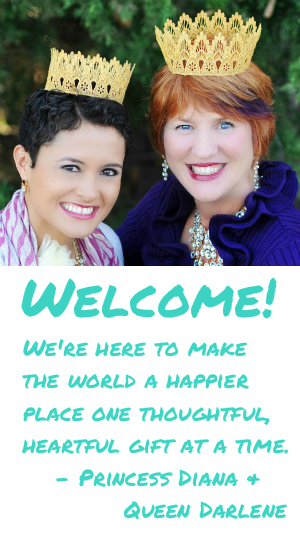 … you need retail therapy. … you don’t feel like cooking. … you want to see a movie. … you need a haircut. … you run out of booze. Here’s another clever gift idea to give money. It’s the 2 Liter Fortune Cookie Bottle. Fortune Cookie saying inside bottle cap. 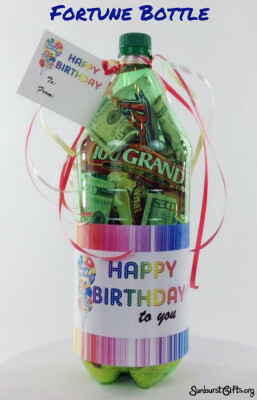 Place candy and money inside a 2 liter bottle. 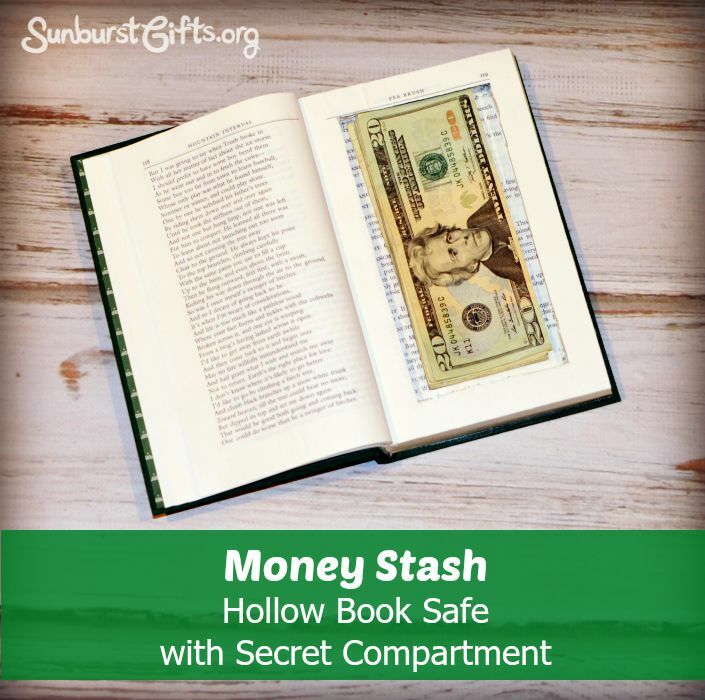 At first, the recipient may be puzzled as to how you placed the candy and money inside. Some may even twist off the cap. That’s when you say, “Look inside the cap.” There they will find a message similar to a fortune cookie. Fortune cookies are always fun to open and read. I created “Your fortune is in the bottle” inside the lid for a birthday gift. It’s a great saying for a graduation gift too! Variety of candy. I like “100 Grand” and “Pay Day” candy bars. 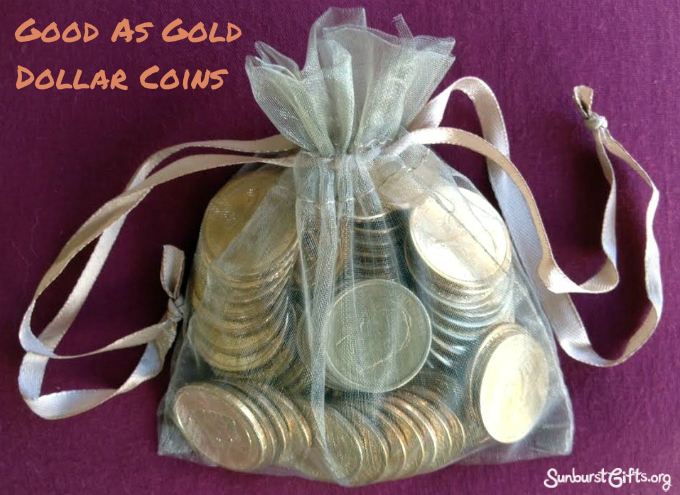 Money – bills and coins. 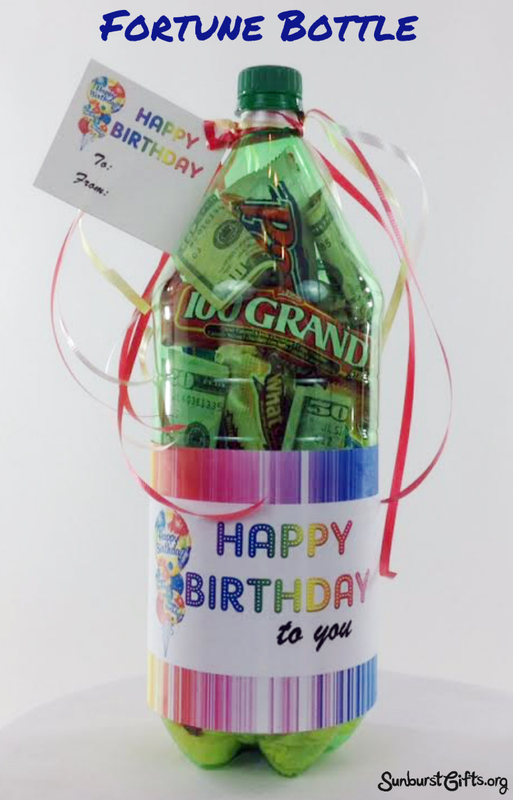 Create a large label and gift tag for the pop bottle appropriate for celebrating a birthday, graduation, Christmas or any other occasion. The topic of dead presidents might be boring, unless you’re talking about cash money. So not every man printed on U.S. paper currency is a dead president. Do you know which ones are and aren’t? 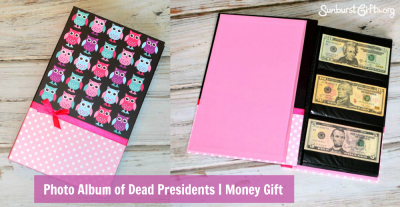 If you’re looking to give a creative money gift, fill a photo album with dead presidents (but feel free to use $10 bills too like I did). No one receiving this gift will care about technicalities! Photo albums that fit 4×6 pictures are just the right size for cash. Turning 60 is a big deal! It was only yesterday, we were young, going to college, getting married, raising kids and taking annual girl trips. The five of my closest girlfriends have always celebrated our birthdays in some way or fashion. We love giving each other gifts. Sometimes we would see a comedian, a musical, or play together as a birthday treat. Many times we would go to the birthday girl’s favorite place to eat. My favorite birthday gift is a night of dancing. I love my girlfriends who are as good as gold for staying out late to dance the night away! 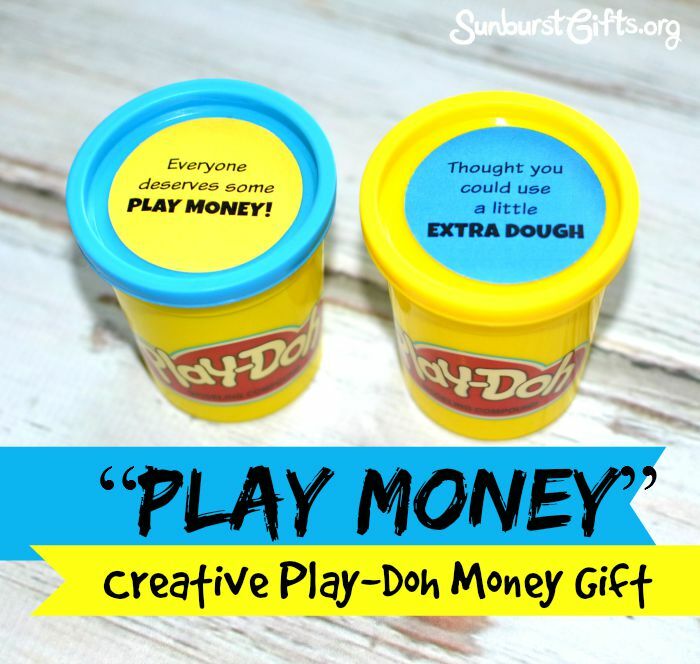 Kids and adults of all ages will love being surprised with a Play-Doh Money Gift! It’s one of the must fun and creative money gifts you can give but it’s also very simple to create. Or feel free to come up with your own tags using play-on-words! In our family, we always give money of the age of the birthday gal or guy. 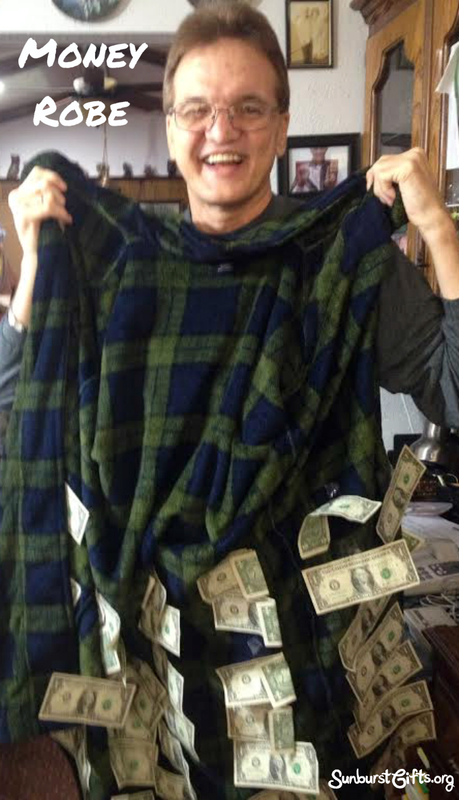 No one will ever guess that their new house robe comes lined with cash! 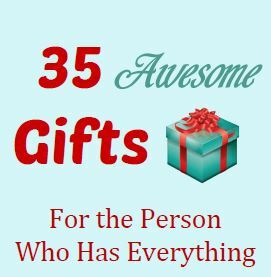 When my brother turned 59, I was stumped to come up with a creative way to surprise him with his birthday money of $59. I recently visited him and noticed his house robe needed to be replaced. So I purchased a green (and blue) robe to go with the money theme. At first, I thought I would place the money in a pocket. Boring! Then it came to me, why not line the inside of the robe with 59 one dollar bills? Now that’s fun! 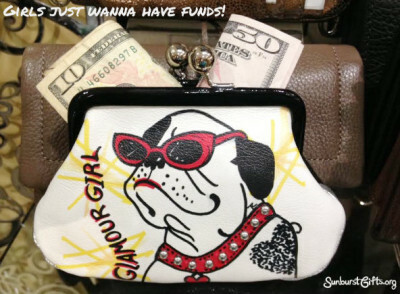 A coin purse is the best thing ever! Not only does it hold your change for easy access but it keeps all of the coins from settling at the bottom of your purse. So why don’t people think of giving a coin purse for a gift? Maybe it seems too blah. 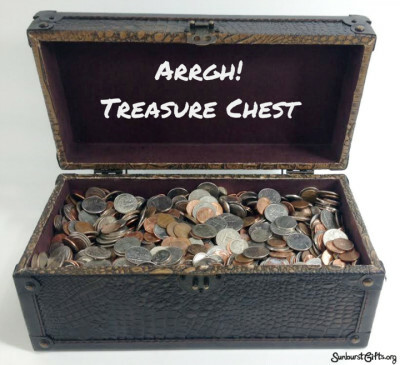 But it’s not if the coin purse comes already filled with coins and cash! 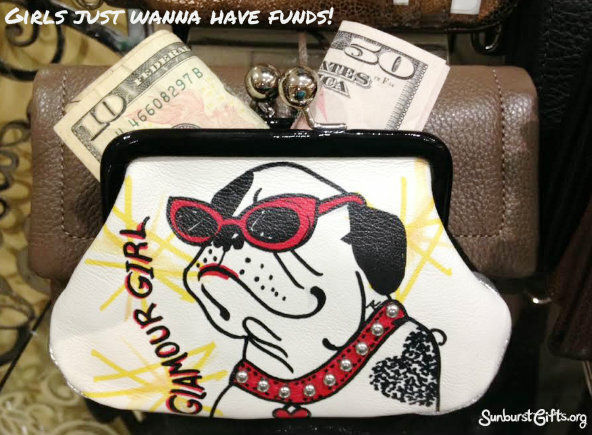 Coin purses come in every shape, size and color. Some styles are classy while others inspire fun. The selections are endless as you can choose leather, cloth or silicone.